His childhood introduction to music was seamless and organic. “When you’re my age and you grew up in Germany, there was a very easily accessible basic music education outside of school.” Smaller specialty schools offered a curriculum in music, and Neef credits these learning experiences for sparking his musical interest. “I have photos of myself singing in kindergarten,” he remembers. Neef says that he “just happened to like classical music,” and one of the first recordings that he remembers listening to was The Magic Flute (Highlights), the second recording by Herbert von Karajan; “My parents gave that to me.” Listening to music on the radio still appealing for Neef, but as the age of the compact disc emerged, his library of recordings began to grow. 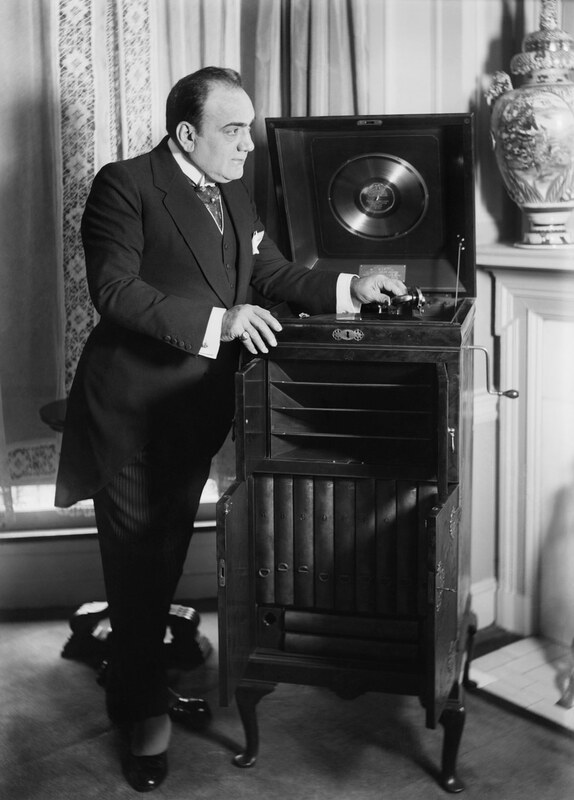 Enrico Caruso in 1918, with a Victrola phonograph. Like most music lovers, he finds it hard to ignore the impressive range of classical music available online. “There’s nothing that’s not on YouTube in one way or the other,” he says, adding that he prefers the paid streaming services, which are better curated. When it comes to listening to classical music, the inherent difference from pop music is that the piece of music and the recording are complete works independently. “For me,” says Neef, “the recording is more like a study purpose.” It’s not about doing one’s homework before listening, but it’s about having the chance to hear what one performance sounds like, one combination of conductor, singers, orchestra, .and space. What do you listen for in a classical music recording? How do you like to listen to it? Let us know in the comments below!